Thomas Elliott was married to Ann Marie Ross Stewart. 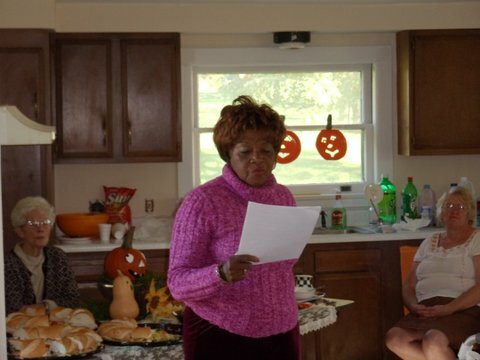 Ann Marie was the author’s great grandmother, and Harriet Tubman’s niece. 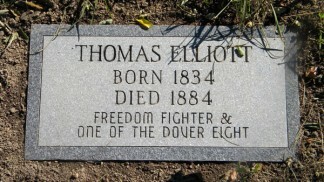 Elliott was a member of the Dover Eight, a famous group of slaves that escaped from Dorchester County in Maryland. He eventually lived in Auburn, New York. His grave was recently discovered with just a metal marker with a number. 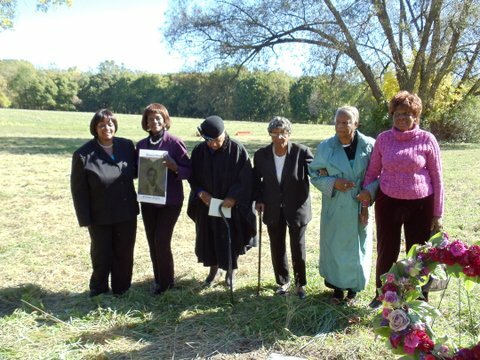 His descendants, including Joyce Jones and Michele Jones Galvin, had a grave-marker installed and held a memorial service. The following is a press release detailing the historic event. I have reasoned this out in my mind, there was one of two things I had a right to, liberty or death; if I could not have one, I would have the other. These words of Harriet Tubman ring true today as we celebrate the life of Thomas Elliott. 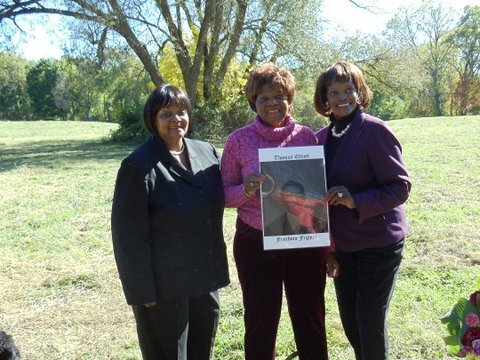 It is indeed a pleasure and an honor for the great, great grandnieces of Harriet Tubman, their families and friends to assemble for this historical milestone and momentous occasion. 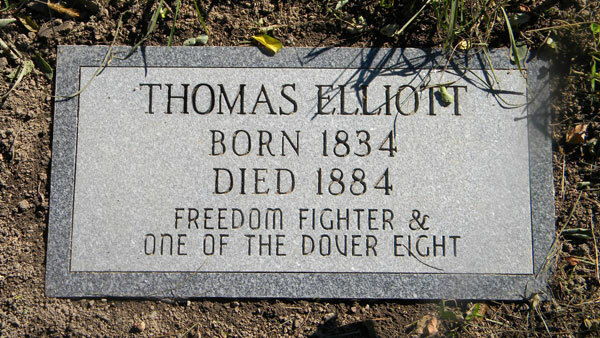 Today, they commemorate the 126th anniversary of the death of Thomas Elliott. 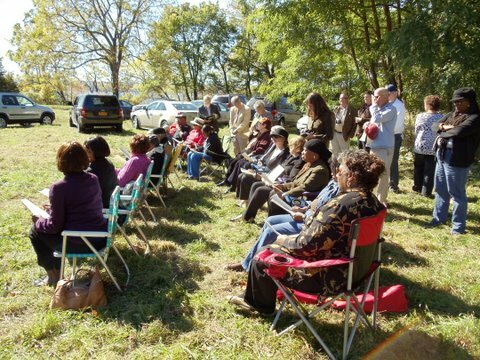 It was a year ago, with the assistance of Craig Williams, from the New York State Museum, that Joyce Jones, Michele Jones Galvin and Adrianne Jones Roderick found the burial site of their relative Thomas Elliott, who was notorious for his participation in the renowned Dover Eight Escape. In 1857, it was the great escape of runaway slaves, and was publicized in town newspapers for miles around Dover, Delaware. Thomas Elliott passed way from this life on October 2, 1884 at Willard State Hospital and was buried in Willard Cemetery. Today we celebrate his life, the importance of the Underground Railroad, and his search for freedom. The following provides a brief background on Thomas Elliott. He was a former slave from the Eastern Shore of Maryland. 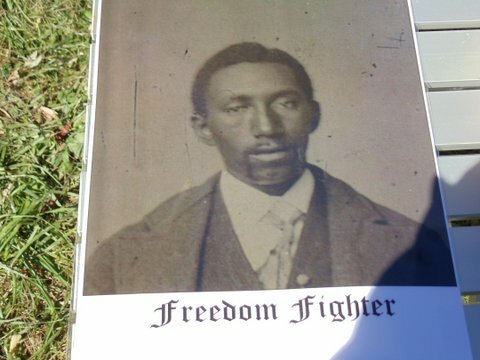 He fled slavery with seven others in the famous escape referred to as the “Dover Eight”. By way of the Underground Railroad, Thomas and most of the others made their way to St. Catharines, Canada. After the Civil War, Thomas and other former slaves settled in Auburn, New York. 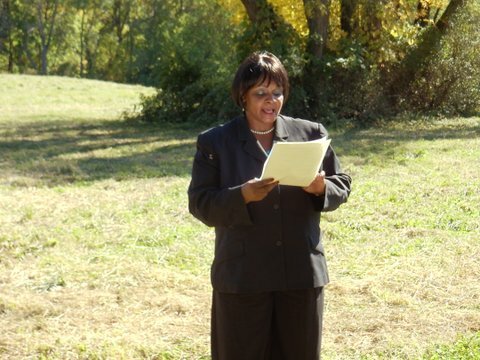 Thomas lived and worked there, and married Harriet Tubman’s niece, Ann Marie Stewart Elliott. Anne Marie and Thomas Elliott were my mother’s great grandparents. Their daughter Mary Elliott Gaskin was my mother’s grandmother. Mary Gaskin’s daughter, Alida Gaskin Stokes Chaffin, was my mother’s mother. My mother’s name is Joyce Stokes Jones. 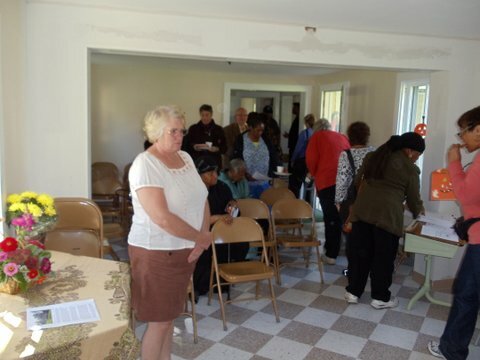 She is the great-great grandniece of Harriet Tubman. 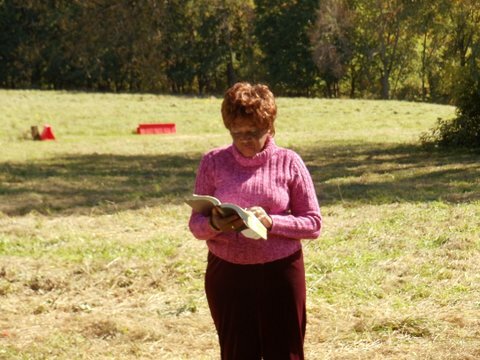 My mother, Joyce E. Jones, and I are completing our family history, and are in the final stages of editing an historical novel on Harriet Tubman, entitled Beyond the Underground. Harriet Tubman, A Heroine. This work chronicles the life and times of Harriet Tubman within the context of her family, and it examines the triumphs and challenges of Thomas Elliott and his family. 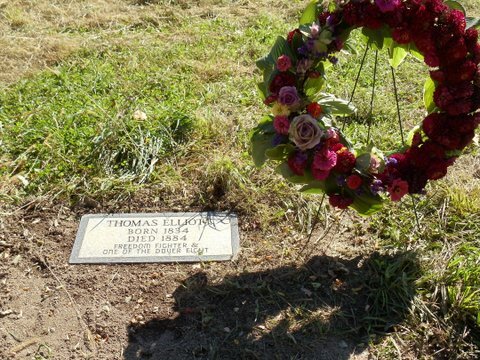 Thomas Elliott died at age 50, and spent the last two years in the mental health system. That fact alone does not diminish his strength, courage and well-being during his lifetime. In life, he rejected the hand that was dealt him, and exceeded expectations by successfully escaping slavery and living as a free man in the north. 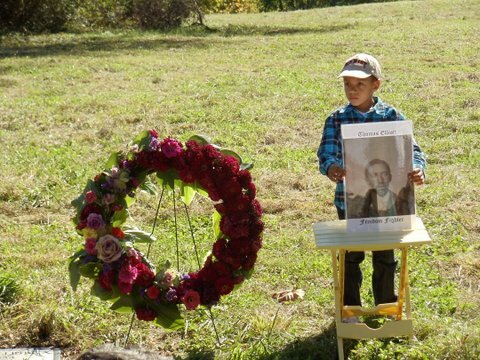 Like Aunt Harriet, he was prepared to die in search for the right to be free. He realized, like all freedom seekers, that the journey could not be taken alone. Without the assistance of the abolitionists and agents of the Underground Railroad, freedom would have been a dream deferred. For Thomas and other freedom seekers, finding freedom in the north, was akin to finding and experiencing the fullness of life with integrity and dignity. 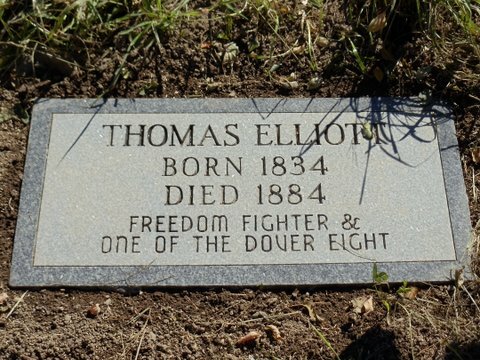 This is what we are celebrating today, one hundred and twenty six years after the death of Thomas Elliott, escaped slave, free man, husband, and father. 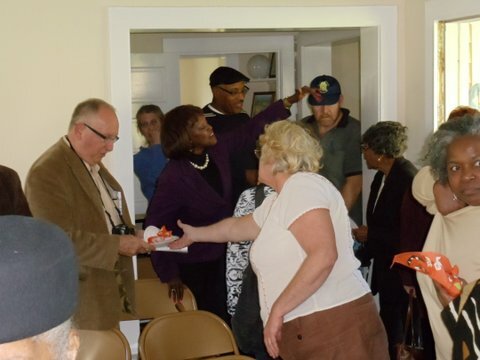 The family would like to acknowledge Superintendent Rickey Bartlett of Willard Drug Treatment Campus, Craig Williams of New York State Museum, Peggy Ellsworth of the Romulus Historical Society, Gunner Ellsworth, Reverend Phillip Turner Of Syracuse, Reverend John Kotum, former Chaplain of Willard, Walter Gable, Sehl Burns of Burns and Garfield Funeral Home of Syracuse, and the Funeral Directors Association, without whom the memorial service, installation of the foot-stone, and reception would not be possible. View the pictures from Thomas Elliott’s Memorial Service below.